Early this summer I’ll be showcasing works that I’ll be recording on my upcoming all Baroque CD later this year. While attending the San Francisco Conservatory of Music, I was introduced to the intricacies of Baroque performance practice. Information that had been unearthed mid-century brought a whole new light on this style of music, which previously had been considered, well, rather uninteresting. In Baroque music, more than in any other classical period, the notes require an almost rewriting. Players learn to manipulate both rhythm and pitches by way of ornamentation with an air of improvisation. It’s almost more like jazz than classical music. I’m excited to revive some of these works in guitar arrangements by my former teacher Michael Lorimer. These works were originally written for lute, organ, cello and harpsichord, and before Lorimer, were previously unheard on the guitar. 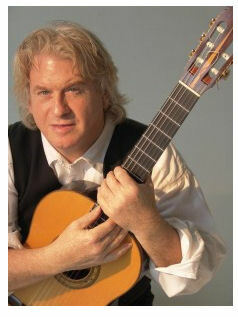 Featured on this program is a number of premiere performances of yet-unpublished arrangements by guitarist Michael Lorimer, including Bach’s Prelude and Fugue BWV 539, originally for organ. I’ll also be performing four works all titled Tombeau pour Mr. Blanchrocher. A ‘tombeau’ is a musical lament from the late Renaissance and Baroque periods. Two were originally written for lute (these will be premieres), and two for harpsichord. Four different composers are represented: Dufaut, Gaultier (lutenists) and Couperin and Froberger (harpsichordists). The tombeaux on this Father’s Day program are all dedicated to one person; lutenist Charles Fleury also known as Sieur de Blanchrocer. Mr. Blanchrocer died infamously by falling down a flight of stairs. The tombeau by Froberger depicts this event with a final descending scale. (Apparently Mr. Blanchrocher died in Froberger’s arms). Rounding out the program will be the engaging Sonata by Sylvius Leopold Weiss, Bach’s brilliant work First Cello Suite, and Fernando Sor’s virtuosic Variations on a Theme from Mozart’s Magic Flute. $15.00 in advance, $20 at the door. From the PayPal site, go to “Send Money” and enter the email address scott@scottkritzer.com . You’ll receive notification from me, and your advance tickets will be held at the door. This entry was posted in Concerts and Events and tagged Bach, Baroque, concert, guitar concert, guitar concerts, harpsichord, lorimer, lute, michael lorimer, old church, organ, performances, shows, Weiss. Bookmark the permalink.